Choose contemporary comfort with the leather Bentley Chair. 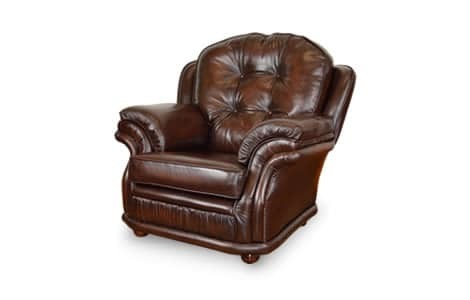 Classically designed with buttoned pads and attractive curved cushion detail, this piece a real asset to any home. The Bentley Contemporary Chair is bespoke to order and handcrafted by our experts using the finest materials in Lancashire, England.